Maynard, Margaret A. “Peggy”, 70, of Pawtucket Avenue, Riverside died peacefully on February 3, 2019, surrounded by her loving family. She was the beloved wife of Kenneth A. Maynard. Born in Providence, a daughter of the late Arthur I. and Margaret A. (Chadwick) Crocker, she lived in Riverside for 45 years. Mrs. Maynard was an LPN for 45 years before retiring in 2014. Peggy was a communicant of St. Brendan’s Church. She was a member of the Bishop Hickey Columbiettes. 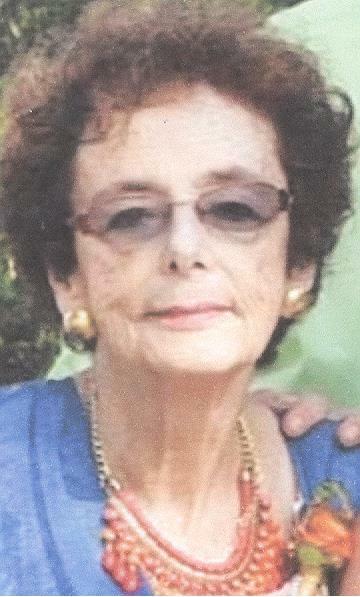 She also enjoyed gardening, antiquing and spending time with her loving grandchildren. Besides her husband of forty nine years, she is survived by three daughters, Kara A. Miranda and her husband Joseph of Swansea, MA, Jennifer E. Thomson and her husband Jonathan of Pawtucket and Nicole M. Maynard and her wife Meg of Cranston; seven grandchildren and loving sisters and their families. Relatives and friends are invited to attend a Mass of Christian Burial in St. Brendan’s Church, Turner Avenue, Riverside on Friday February 8, 2019 at 10 a.m. Calling hours are respectfully omitted. Contributions in Peggy’s memory to The Autism Project, 1516 Atwood Avenue, Johnston, RI 02919 or The Manton Avenue Project, P.O. Box 982, Providence, RI 02901 would be deeply appreciated. Peggy was a very kind person. She served on the Loaves and Fishes truck serving the homeless and poor several times. Please accept our deepest condolences. We are so saddened to hear of Peggy’s passing. We fondly remember her at family gatherings with the Hunters. Sending our love and prayers to all of the family. I am so sorry about the loss of your Mom. She was such a warm, kind person. If there is anything I can do please don’t hesitate to ask. You are all in my thoughts and prayers. I’m so happy to have had some opportunities to be with Peggy. And it warms my heart to remember that she and Lucy had time together. Kris and I are so sorry for your loss. We were happy to have been able to meet Peg and get to know your family. You are in our thoughts and in our hearts. Heartbroken upon learning of Peggy’s passing. Worked with Peggy on ICU at Roger Williams Hospital and always admired her nursing skill, compassion and kindness…always my “go to” nurse for advice. Having known the loving Maynard family since childhood as neighbors and friends please be assured of our love, prayers and sympathy at this sad time. Sorry for your loss Ken our thoughts and prayers are with you and your family. So sorry for your loss. Prayers for you and your family. May God bless you all with fond memories of your mom. If there is anything that I can do please don’t hesitate to call. Sorry to hear of the passing of Margaret. I worked with Ken at American Universal Insurance many years ago. May your loving memories of Margaret help all who loved her during these sad days. So sorry for your loss. Sending you love and strength. Mark and I are so sorry to learn of Peggy’s passing. Know that our thoughts and prayers are with you, during this difficult time. Dear Kenneth, please accept my condolences Peggie was a wonderful person. I will always remember her sense of humor, an all the fun we had at the fundraiser and holiday dances at St.Brendans. She will be missed dearly may she rest in peace an be with God. God bless you and your family during these difficult times, keeping you and your family in my prayers. I will forever remember our crazy younger days volunteering daily at Saint Brendan’s, PTA meetings, the Christmas Bazaar and parties. Mary Lou, Peg and I had so many laughs and I am left with fond memories. Ken your faith and family will be your saving grace. Much love to you all. Ken and Family ~ Thoughts and prayers are with you at this most difficult time. I remember her fondly as part of the “Three Peggy Amigos” all during high school ~ it seems like only yesterday! Please accept our sincere condolences on the loss of Peggy. We have fond memories of her in our younger days at St. Brendan School and church functions and will never forget her sense of humor. Blessings to you all at this sad time. I’ll always love you Auntie Peggy. My godmother part of the glue that held this crazy family of ours together. It’s still really hard to accept that you’re gone but I’m sure you’ll never really be gone. Just like nana you’ll be keeping tabs on us. Ken, so very sorry for the loss on Peggy my prayers are with you. East Providence Council will keep Peggy in our prayers. So very sorry for your loss. Beth and I send our love, prayers and condolences. May she rest in God’s peace. I am so very sorry for your loss. In our short time knowing one another, Peggy was very kind to me and welcoming. She was warm, inviting, and it’s becoming clear to me through story how amazing of a person she was. We are so sorry to hear of Peggy’s passing. We recall many good times with Peg and Ken at St. Brendan’s functions and bazaars when the kids were growing up. Please accept our sincere condelences. She was a lovely person. Please accept our deepest condolences on the loss of your mom. May the Lord embrace you all during this most difficult time.